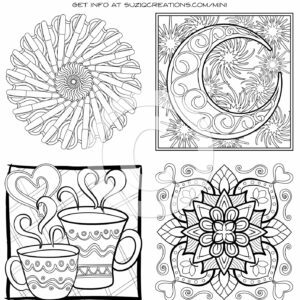 Download Free Coloring Pages and Show them Off! 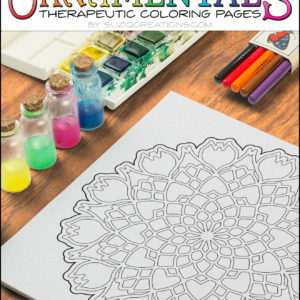 We want to see your colored OrnaMENTALs™! 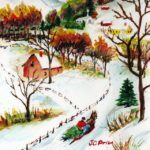 Download some of our free samples here and show them off! 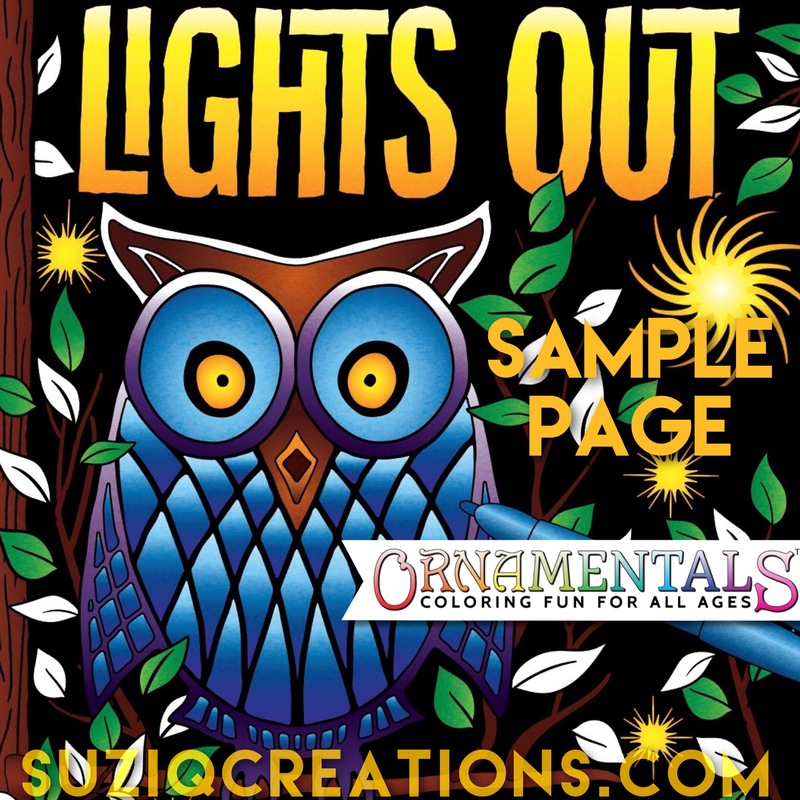 Sign up for Sue’s News to get an exclusive new free coloring page every month. 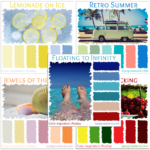 Be sure to use the tag #ornamentalist when sharing if you want to be featured in our colorist spotlight albums. 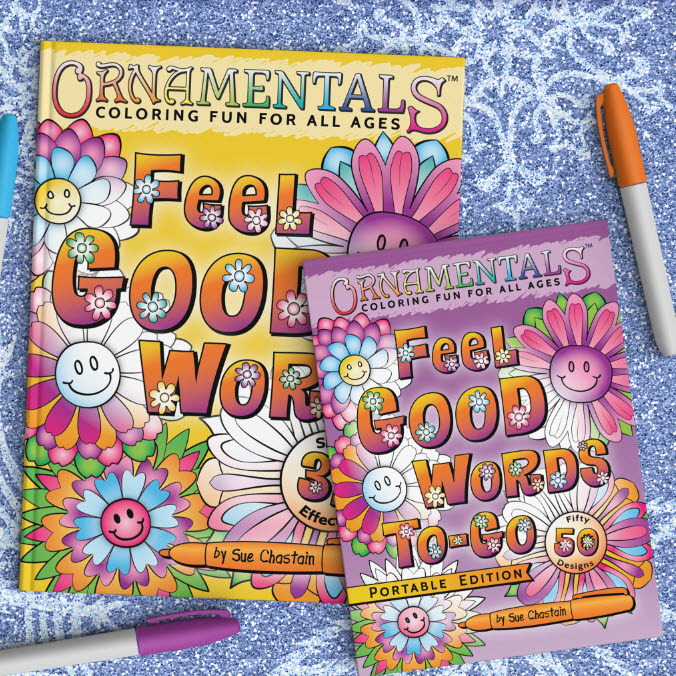 You might even land a spot in the OrnaMENTALs Coloring Team! 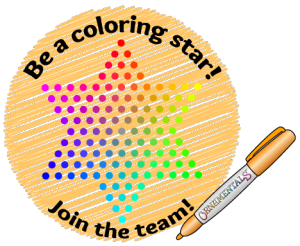 Be a coloring star! 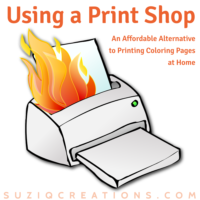 We love to see pictures or scans of your colored pages! 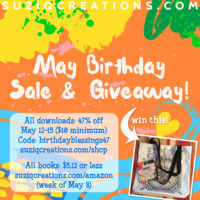 You can share them here by visiting the page for the specific design or book, and scrolling down to the comment form. Look for the “Browse” button to upload your picture along with your comment. Or share on your social media accounts. 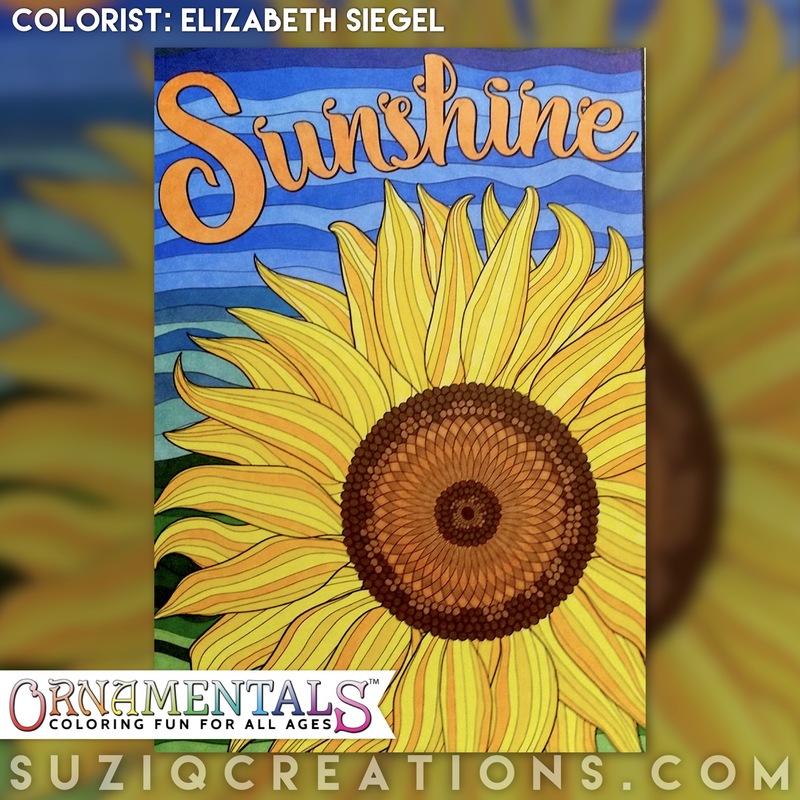 To help us find your posts on social media, use the hashtags #ornamentalist #ornamentalscoloring #suziqcreations and tag @SueChastain when sharing. 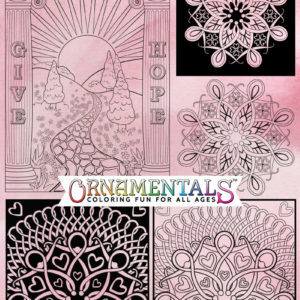 We regularly check the hashtag #ornamentalist for the best coloring to feature in our Colorist Spotlight across Instagram, Facebook, Twitter, Pinterest, and more! 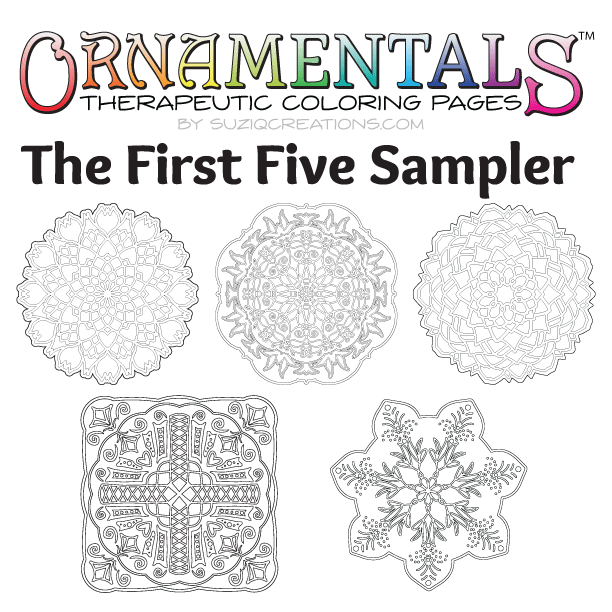 Share often and we’ll add you to our short list for when the OrnaMENTALs Coloring Team has an opening! 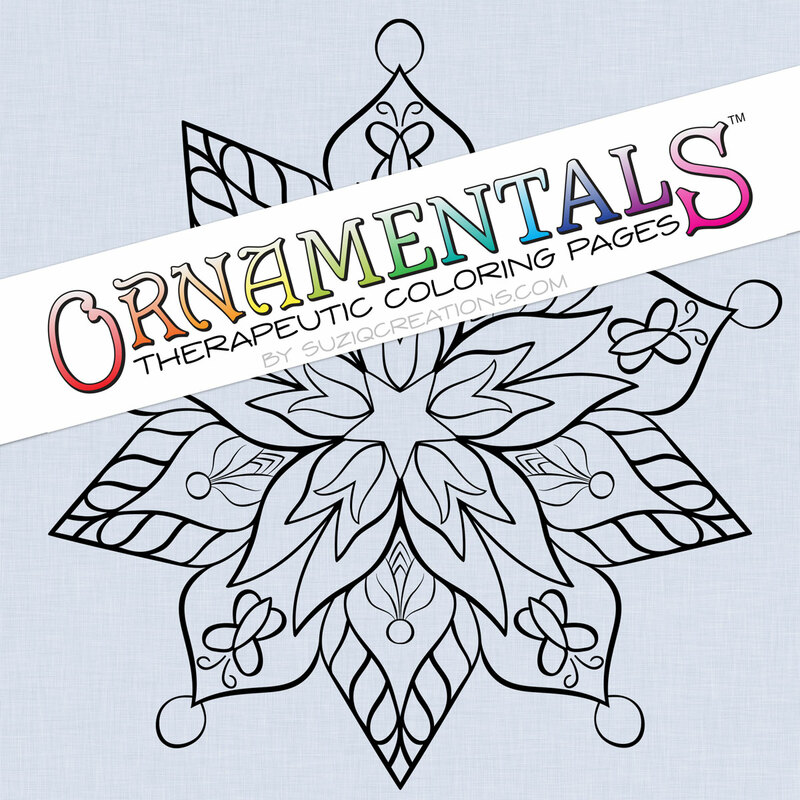 The coloring team gets advanced copies of OrnaMENTALs coloring pages, books, and other products in exchange for sharing feedback, colored work, and reviews. 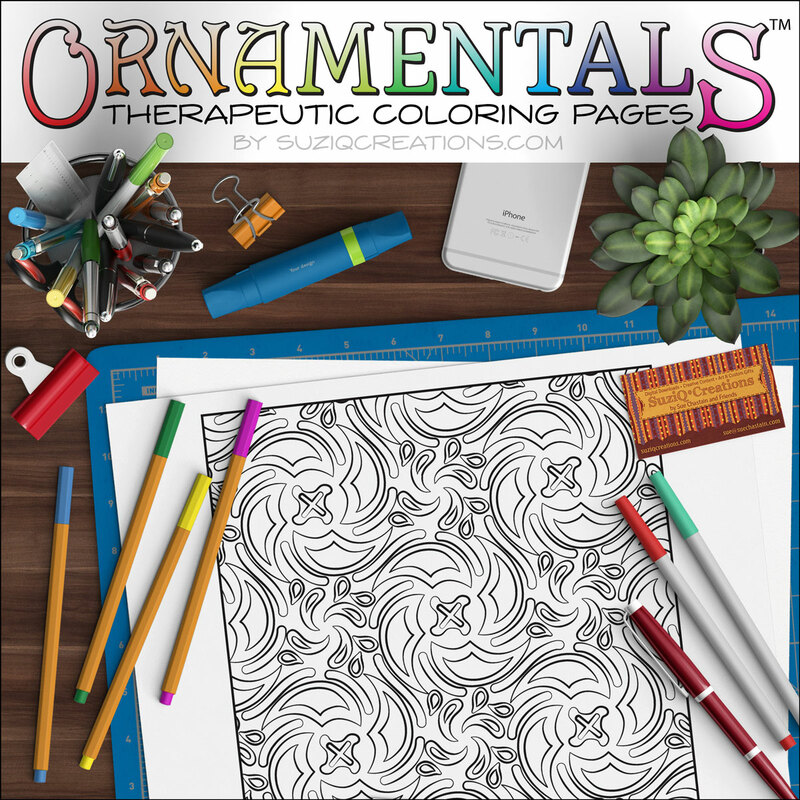 Membership into the coloring team is by invitation only. 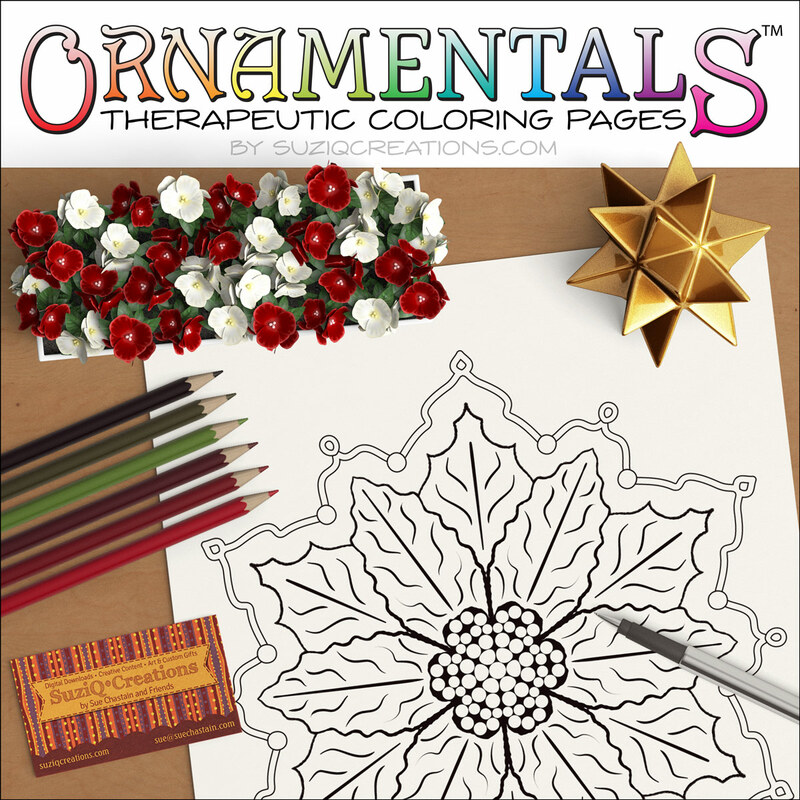 To increase your chances of being noticed and selected, be sure to share your colored OrnaMENTALs pages here on the site (using the comment forms on most pages) and around social media. You don’t even have to buy anything. Color and share any of our free sample pages. Get a free download of “Ditzy Doodle” only from Maniacal Confessions. 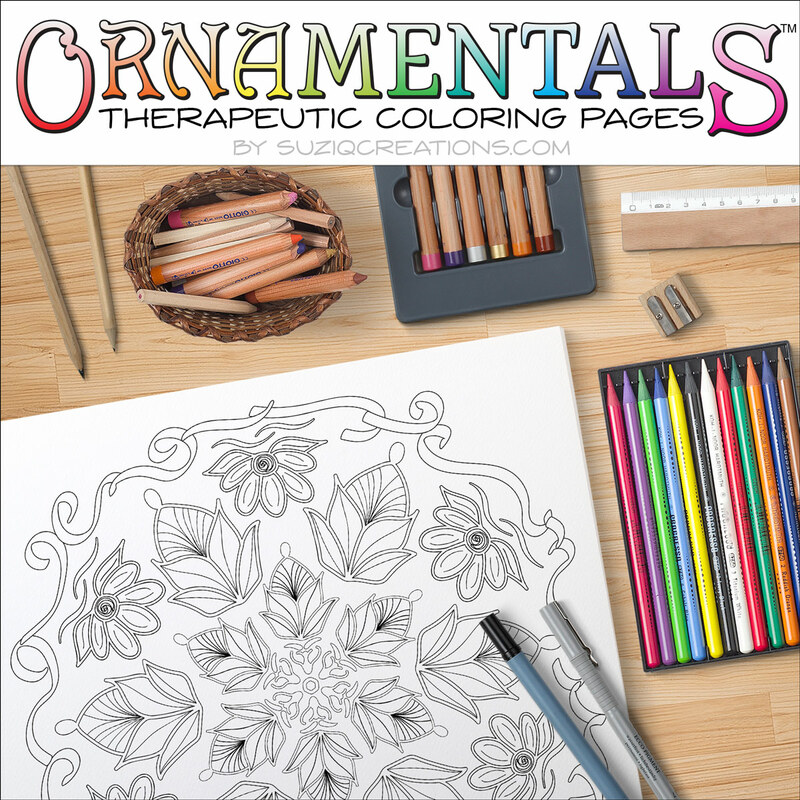 From OrnaMENTALs Splendid Symmetry coloring book. 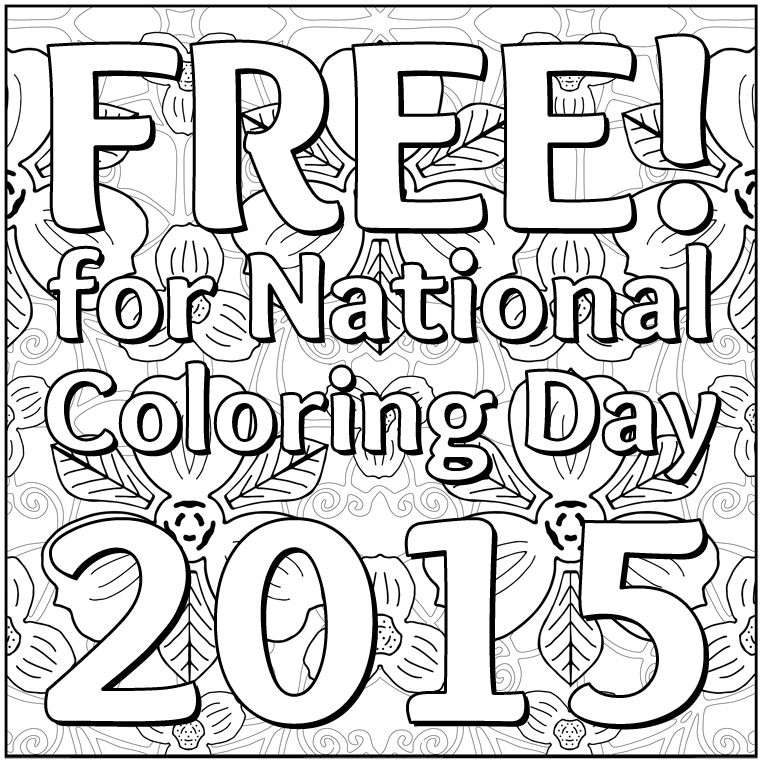 Get a free download to color only at HubaDub. 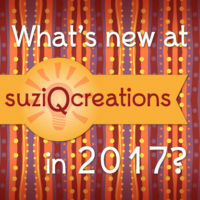 Sign up for Sue’s News for exclusive free downloads, updates on new releases, early bird pricing, tips, and much more! 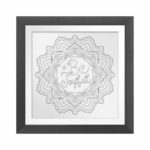 I can’t wait to see what you color! Thank your for inspiring, I love your designs! Will be colouring them soon! and hope they will become worthy to share. Thanks again!!! 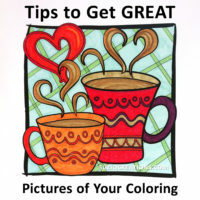 Sue, I wanted to tell you how much I enjoy your color pallets with the beautiful photos to match. They make me happy! Thank you! 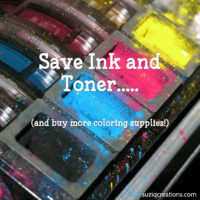 My Treasury will be here Monday, I’m so excited!! 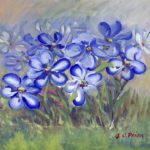 Thanks so much for all your hard work on this and making it available at such a wonderful price!